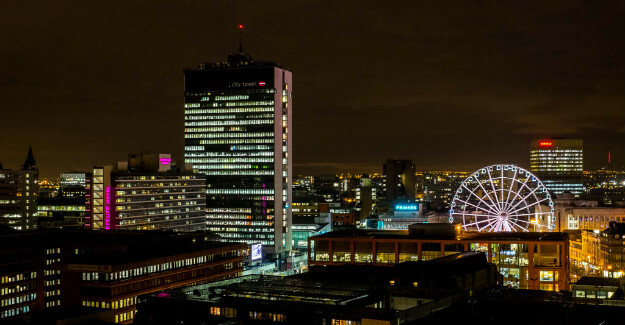 If you’re planning on studying abroad in Manchester, then there’s a few linguistic tips and insights we’d like to share with you before you arrive! While our city is a wonderful, student-friendly metropolis, like every city around the world, we have some unusual local words and phrases. For those of us who grew up in Manchester, these phrases are widely understood, but when we stop and think about it, we actually come out with some really strange things!With that in mind, we’ve provided a short guide to some of our most popular terms and phrases. Mancunians are generally very friendly, so if anybody ever uses a word you don’t understand, just ask and they should be happy to explain. Mancunians have lots of words to express approval and some of them are actually the opposite of a nice word. One such example is ‘sick’. In Manchester this can be used to describe illness and something which is really, really good. We know, strange. The clue is in the context, for example, if you hear a Mancunian say “my new shoes are sick!” then you know he probably means he likes them! Some common terms: Well good/dead good – this isn’t good grammar at all, but a lot of otherwise articulate Mancunians use this phrase! It basically means very good. Sound – If something is described as ‘sound’ then it means it’s good or reliable. For example, “Jane is sound” or, “that garden wall is sound”. Awesome – awesome used to mean truly awe-inspiring, however in Manchester its meaning has been diluted somewhat. It is still used to describe something good, however, you may hear someone remark ‘awesome’ when you confirm a time to meet. While ‘awesome’ is a strong word, it’s become everyday dialect for most Brits! Buzzin’ – This is used to describe feeling great! For example “I was buzzin’ after we won!” Get in – This usually expresses some sort of achievement, for example saying ‘get in’ when your football team scores or if you perform well in an exam. Grim – grim as an adjective might be used to describe something gruesome or macabre, but in Manchester it’s more commonly used to express something unpleasant. For example “you haven’t changed your socks? That’s grim mate”. Minging/manky/Hangin’/’angin – Used a little less in recent years, but you might still hear people use these words to describe something unpleasant. Snide/tight – both are used to refer to people who aren’t very generous. These terms are actually used throughout the UK, so don’t be offended if a stranger calls you ‘mate’ or ‘love’, it’s just a friendly way to address strangers. If you ever find somebody is trying to get your attention and you don’t feel comfortable speaking to them, just say “no thank you” and quickly walk away. Mate – Complete strangers will often call each other ‘mate’ (this means ‘friend’) and it is a term most commonly used between men. Bud/buddy – again, like ‘mate’, bud is often used between males. They may be strangers or they may know each other well. Love – This is a very widely used term which is typically used by both sexes. It isn’t uncommon for a shop assistant to hand you your change and for one (or both parties) to say “thanks love”. Flower/Petal – Used as a term of endearment towards women, this is used in the same context as ‘love’. There is much debate amongst Mancunians about the correct name for a bread roll! People from the South of England will often have different terms than those of us from the North too. Common names for a bread roll in Manchester include: barm-cake, muffin or bap. Brew – used to refer to a cup of tea, for example “fancy a brew?” Although the ‘brewing’ process refers to tea, if someone asks you if you’d like a brew it usually covers coffee too! This term most likely originates from traditional beer brewing. Bangers – Used throughout the UK, this term is simply used to refer to sausages. The term bangers became widely used during the Second World War when extra water was added to sausages as a way to bulk them out. This increased water content caused the sausages to split or ‘bang’ when cooked. Chippy – Again, used throughout the UK. ‘Chippy’ refers to the local fish and chip shop. Most British towns and villages have a chippy, however most people only really eat it as an occasional treat. In our own homes, we’re a real foodie nation and we love cooking dishes from around the world! ‘Swear down’ – this is a Mancunian’s way of telling you the absolute truth in the most emphatic way possible. For example “I swear down, I didn’t eat your chocolate bar”. Owt – this means ‘anything’, for example “are you doing owt?” Nowt – This means ‘nothing’ and you may hear a Mancunian saying “what are you doing, owt or nowt?” Have you heard any confusing British terminology? Please let us know on Facebook and we’ll do our best to explain! As we mentioned earlier, please don’t worry if you don’t understand something someone says, chances are they’ll enjoy explaining our local terms to you.